Do you feel a calling to share the teachings of yoga with others? This training is for you if you have fallen in love with yoga and feel a sincere calling to humbly share the teachings of yoga. This is a comprehensive, mindful, vinyasa flow 200 hour teacher training. Co-taught by Eliza Coolsma and Lucy McCarthy, who between them have over 20 years of teaching experience. The training will give you a solid grounding in how to offer mindful, intelligent and transformative yoga classes. Born out of our deep passion for yoga. A belief that this sacred, ancient practice has the potential to transform, awaken and heal us from the inside out. 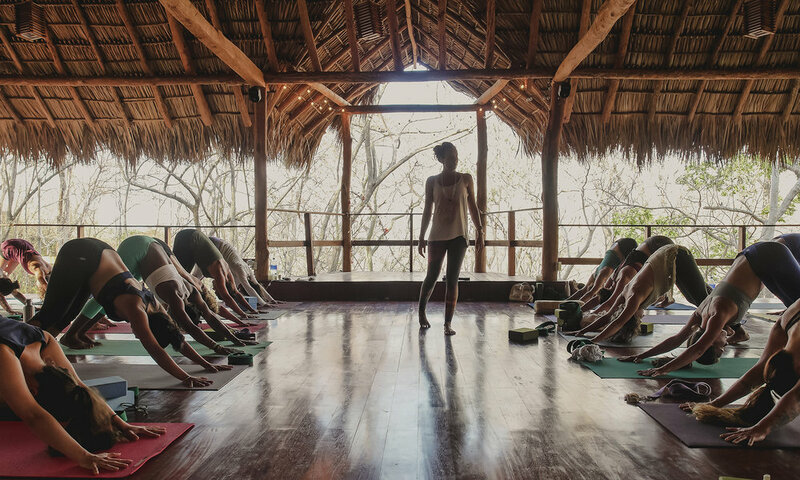 We believe the powerful practices of yoga postures (asana), breath work (pranayama) and meditation (dhyana) have the potential to bring us back to a place of wholeness. A homecoming. We will teach you how to hold a loving space for your students that allows them to go on a deep, transformative journey inwards that ultimately leads them to greater happiness, peace and inner fulfilment. The course will be rigorous and thorough and require dedication and commitment. A willingness to explore the places and ways in which you are currently not embodying the ‘union’ of yoga so as to inspire a fuller expression of yoga in your whole life. All weekends will take place in Madrid, Spain.